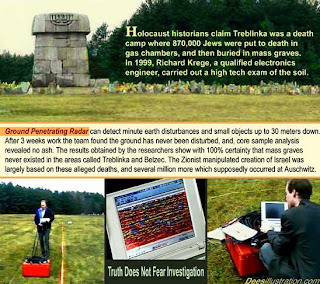 The Atlantean Conspiracy: Why the Holocaust Denial? 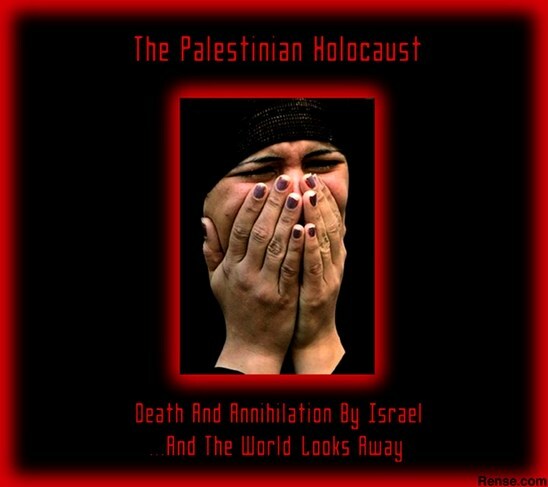 It is very significant, however, that certain Jews were quick to interpret these policies of internal discrimination as equivalent to extermination itself. A 1936 anti-German propaganda book by Leon Feuchtwanger and others entitled Der Gelbe Fleck: Die Austrotung von 500,000 deutschen Juden (The Yellow Spot: The Extermination of 500,000 German Jews, Paris, 1936), presents a typical example. Despite its baselessness in fact, the annihilation of the Jews is discussed from the first pages—straightforward emigration being regarded as the physical “extermination” of German Jewry. 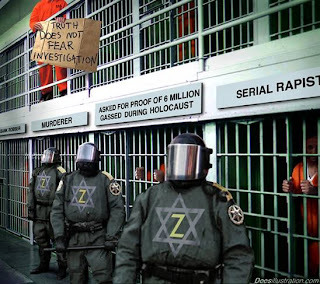 The Nazi concentration camps for political prisoners are also seen as potential instruments of genocide, and special reference is made to the 100 Jews still detained in Dachau in 1936, of whom 60 had been there since 1933. 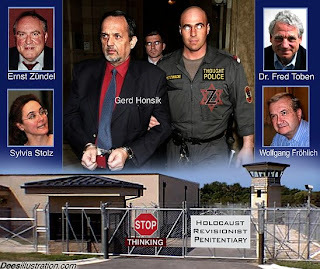 A further example was the sensational book by the German-Jewish Communist, Hans Beimler, called Four Weeks in the Hands of Hitler’s Hell-Hounds: The Nazi Murder Camp of Dachau, which was published in New York as early as 1933. 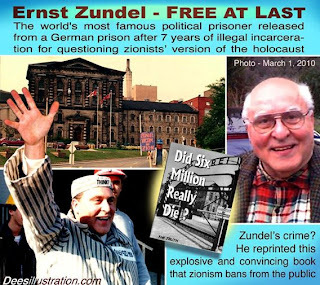 Detained for his Marxist affiliations, he claimed that Dachau was a death camp, though by his own admission he was released after only a month there. The present regime in East Germany now issues a Hans Beimler Award for services to Communism. 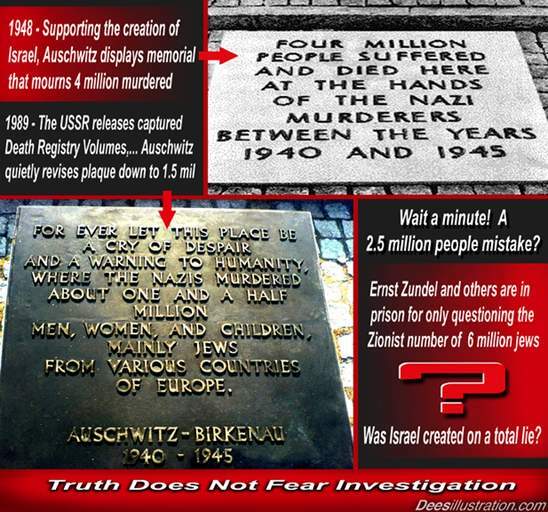 The fact that anti-Nazi genocide propaganda was being disseminated at this impossibly early date, therefore, by people biased on racial or political grounds, should suggest extreme caution to the independent-minded observer when approaching similar stories of the war period. Most of the people who died in the camps died of starvation after allied bombings of Germany cut off food lines. The Jews were less than 1% of the German population in 1933, and 99% of Germany voted for Hitler and his expulsion policy. 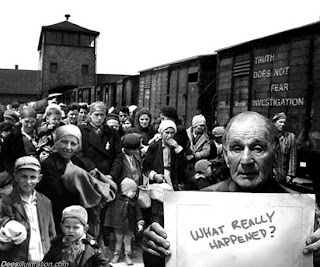 You have to ask yourself, why did Hitler and many Germans want the Jews expelled in the first place? Did you know the Jews have been expelled from over 85 countries in the past two millennia? Sure they like to play up the "victim" angle, but is it really just a worldwide case of "anti-Semitism" or are there legitimate, justifiable reasons for people's distrust of the Jews? especially modern day Zionist Jews... they control the world monetary system, the media, and perpetuate constant wars and deceptions on us lowly goyim. The idea that Jews are "God's chosen people," thereby excluding everyone else as inferior (not chosen by God) is the very type of "supremacist" ideology that they're so quick to brand their opponents. Personally, however, I have no problem with Jews and I see them as equals even if they believe themselves not to be. or 6 m + 6 m + 6 m = 18 million who were burned alive? As shown in the link above, Jewish communism can easily be shown responsible for 61,000,000 deaths! What Jews Lenin, Trotsky, Stalin, Marx, and the 95% Jewish Bolsheviks did to Russia and Ukraine is the real Holocaust. The "winners who've written history" will harp on all day about Nazi atrocities and try to convince you that Hitler and the German National Socialists were Satan incarnate, but what about Jews Lenin, Trotsky, Stalin, Marx and the Bolsheviks? They are responsible for 60 million deaths of white non-Jews. Where do you think Hitler got the idea for white pride and white supremacy in the first place? 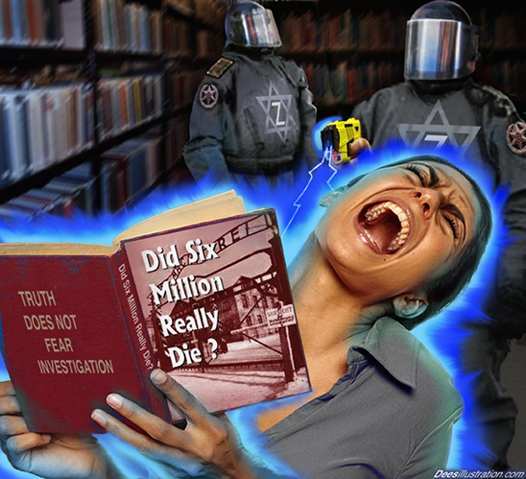 Why do you think our government approved textbooks and TV shows go on and on about the atrocities of Hitler/Nazi Germany, but barely or never touch Holodomor or the Russian Holocaust? I was never taught about that in my crappy public school education. Were you? It's because the myth of Hitler killing 6 million Jews covers up the Lenin/Stalin murder of 60 million non-Jews, has generated reparation wealth for world Jewry, and provides the "poor me" victim story so we won't criticize their sovereign genocidal state of Israel. nice, this was my favorite part. i feel the same way. So in Cohorts with Catholic Jesuits the Zionist cooked up the whole idea. This definitely helps me a lot. There's always an "exception" to a group--although the author was born into a Jesuit family, he does offer info that would not paint the Jesuits in a good light. 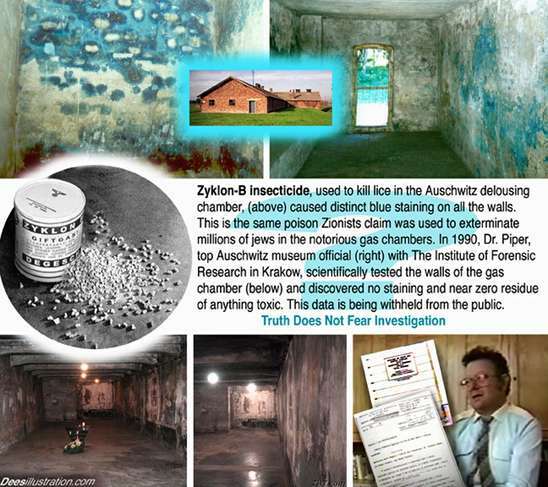 66 Questions and Answers on the "Holocaust"
Hitler was a Zionist installed puppet. Where did he get his money from when germany was not rich enough? Those times most of Jews wanted to assimilate, which is exact opposite what Zionists wanted. 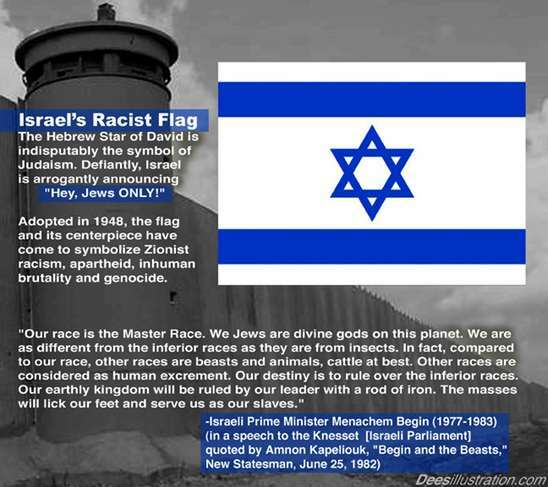 They wanted for Jews to remain "pure race" and segregate them. Therefore they used fear of antisemitism as their weapon. 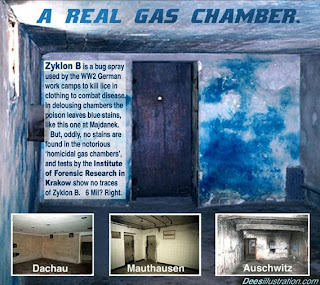 World War 2 was a big extermination of everyone who wasn't worthy to be apart of Hitlers super race... millions of every kind of human died.... its a shame only the so called Holocaust gets the most sympathy. Fact is that Jews have died in Concentration camps and prisons for hard labor. What is very obvious is blatant lie that was spread throughout the World about exact number of Jews that died, and for simple reason to segregate them as a group that lost them most simply because they were chosen ones! 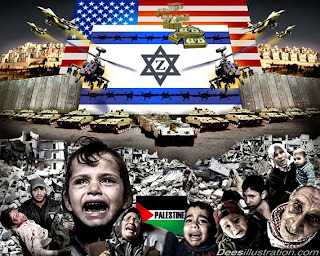 Estimates are closer to million or even 700.000 which is still very high number of people killed, but playing with numbers by Zionist is just unbelievable! If genocide happened, and indeed did happened, it was committed against SLAVS! thirty million Slavs died fighting or were slaughtered by , Nazi, Croatian Ustashas, Albanian Nazi as well as Italians but not as much from them. Slavs were number one obstacle to Hitler and his plans and 20 million Russians died during WWI, as well as 7 million Poles and Million and a half of Yugoslavs, mainly Serbs and Montenegrin because they fought on all fronts! 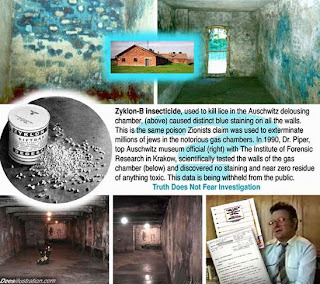 Nobody ever teaches great losses and genuine genocide committed against Slavs, but simply pushing for zionist agenda using their own people as a money making scheme for the past 70 years! 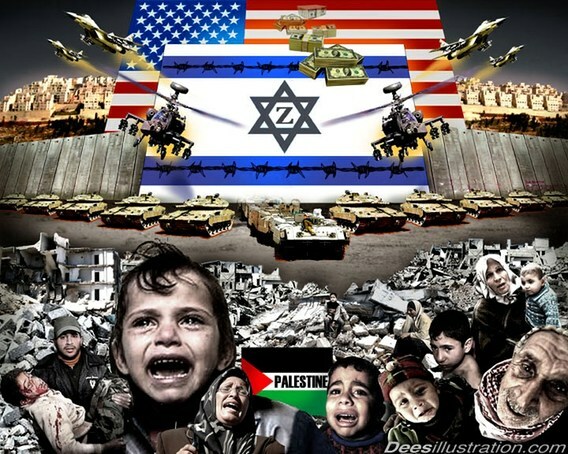 Slavs never got any reparations for damages and traumas inflicted, where israel and zionists are collecting billions upon billions even today! And reason why is it forbiden to speak about it or question anything is blatantly obvious, because is a lie! if that was true, all they would have to do, is show the evidence, which do not exist, so they use terrorist means to frighten people into obedience! World is waking up luckily! Great points Anon, you're absolutely right! 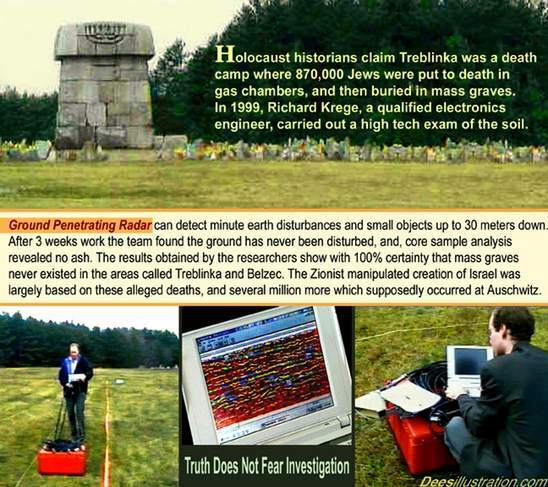 The truth is that there was 500,000 Jews in Germany before WW11, and 300,000 left Germany before 1939. 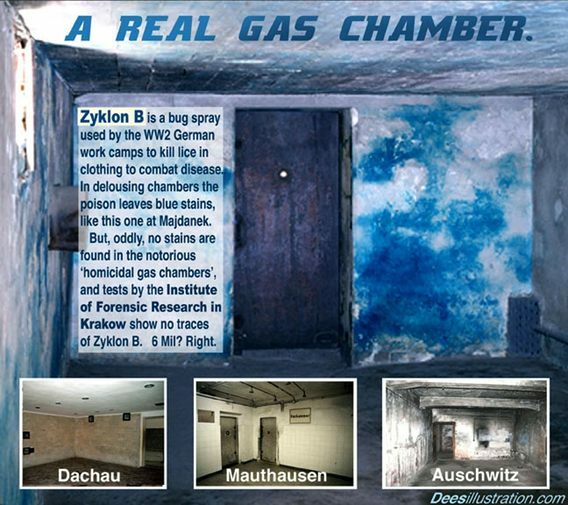 The number of Jews who perished in alleged Nazi concentration camps totaled no-more then 148,743 and they were not gassed too death, but died from disease and malnutrition brought about be the Jewish boycott of Germany that stopped essential food and medicine entering the country, even the Christian Germans went without enough food for their families. Now there were only seven-and-a-half million Jews throughout the whole-world at that time. 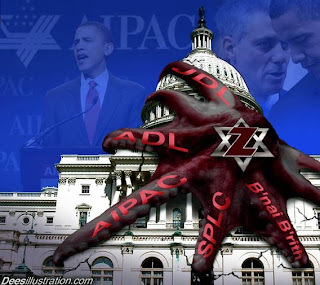 It was the Jewish bankers who financed WW1 & WW11. It saved America by creating work that pulled the economy out of depression. The Waffen-SS by stopping Joseph Stalin, a Jew himself from been taken-over by communism. Stalin murdered around 40 million of his people. When the Germans invaded the U.S.S.R. Stalin burnt the crops and anyone who stayed to help the Nazis defeat him, Stalin was a dictator and a madman, a mass murderer. He even murdered all the Polish officers who had given themselves up. I, personally, did my own research on the population figures during the years before, during, and after WWII. The statistics clearly do not reflect the "official" story of 6 million Jewish people suddenly being killed. In fact, the population of Jewish people INCREASED during this time period. 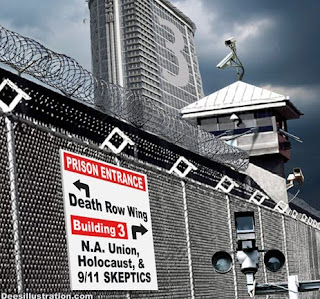 And another thing, many of the Jewish people that really did die in the internment camps as a result of starvation or disease... was caused by the Allies. The good guys. How could this be possible? Well, what happens when you cut off the supply lines that go to the camps? Everyone in the camps suffers and dies. It's not rocket science, it's basic economics. "We" were responsible for killing more Jewish people than were the Nazi's themselves. That's our real history. Nobody wants to admit it. Good comments.I personally dont think that even one person was gassed during WWII..let alone 6 million. You just reach a point where you have to take a deep breath and just let it go. They really do lie...and they lie big indeed. I have a few points to raise about the Jews. First I do believe they are the "chosen people" they control finance, politics, the media, medical jewdicial, you name it. When they say they are God's chosen people what they do not say is which God. Of course this could be any sort of entity out there perhaps Archontic who knows. 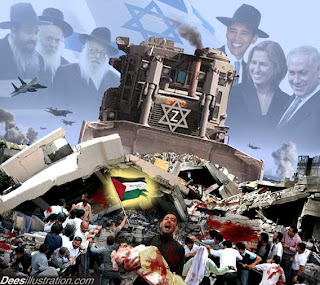 It is whatever has been in control of the planet sinc the get go Secondly, they say Jews make up a small percentage of the population something like 3 percent. This is a fallacy. 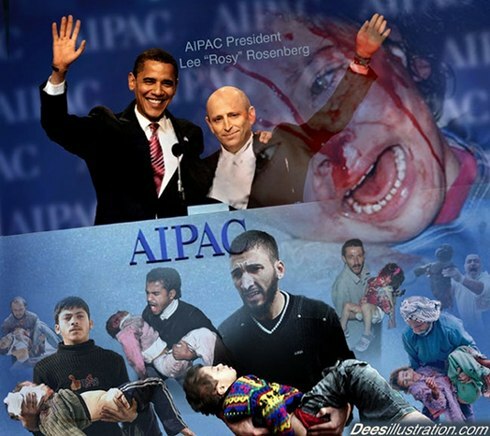 Jews are masters of manipulation and disguise. They hide in plain site and take on Irish names, Italian, Spanish etc. They take on the characteristics of various nationalities and blend in. Think of Al Pacino a fake Italian Kevin O Leary a fake Irishman. 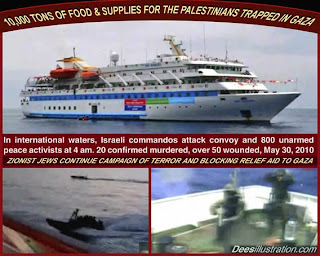 Wherever the mob or Mafia is the Jews are there also. The Catholic Church is a Jewish stronghold. they have taken over most most countries Mexico, Italy, Germany, the list goes on. If they say they are a tiny percent of the population the opposite is true. They are everywhere and in everything. If you cannot beat them join them! On my blog www.thechosenites.wordpress.com I have an add by the HYPE college that can guarantee anybody a brilliant career in the holocaust industry. 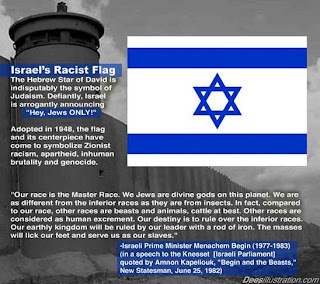 The symbol on the official Jewish Flag is not a Jewish symbol.